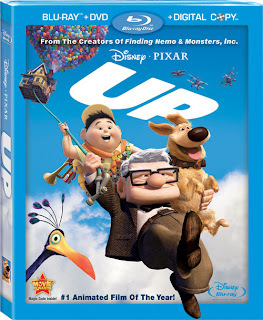 Up: Best film of the year so far, bar none, end of discussion. Ballast: And one of last year's best films finally makes its long-awaited debut on DVD and Blu. It's a small masterpiece. Go find it. The General (Blu-ray): And one of the best films of all time hits Blu-ray as well. (Blu-ray.com gives it high marks.) Good lord, I'm spending too much on Blu-rays this week. Heat (Blu-ray): Pacino and DeNiro faced off for the first (and best) time in Michael Mann's sprawling, brilliant cops-and-robbers drama. The new Blu is in my stack at home; review is forthcoming.